Last year more than 99% of Hondas sold in America were made in America (using domestic and globally sources parts). No wonder three Honda models – Accord, Odyssey, and Pilot – recently snagged spots on the American-Made Index (AMI) from Cars.com. Usually the AMI includes the top 10 cars made in the U.S., but this year only eight cars met the criteria. The list rates vehicles produced and purchased in the U.S., taking into account factors such as the percentage of parts used for the car that are considered domestic, cars assembled in the U.S. and U.S. sales. Models with a domestic-part content of less than 75% were disqualified as were models built exclusively outside the country, information from Cars.com said. 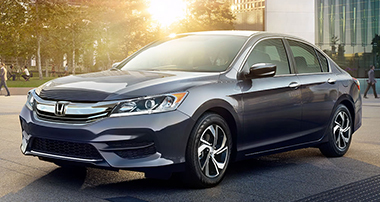 Taking those ratings into consideration, the Accord was named second on the AMI, followed by the Odyssey at fourth and the Pilot in fifth. Our 2017 Honda Accords are in stock today! The Sport Special Edition stands out from the crowd with leather-trimmed seats with red stitching, race-inspired drilled pedals and exclusive San Marino red paint option. To learn more about the SE click HERE. 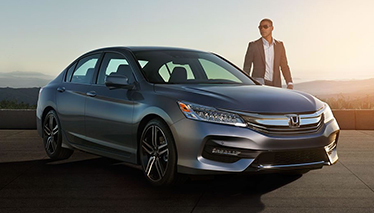 To learn more about the great gas mileage and top features the Accord Hybrid has to offer, click HERE. Yes, it’s summer, but it’s probably going to rain at some point. Worn wipers create nasty streaks across the windshield and can affect your vision while driving. Replacing them doesn’t cost much, but it can be a fiddly operation. If you’re in the habit of taking your car in for oil changes, ask them about the wipers, too. Our dealership can sell you the wipers and install them for free during your service. Check oil, brake, power-steering and windshield-washer fluids regularly. These liquids never stop being used and consumed. 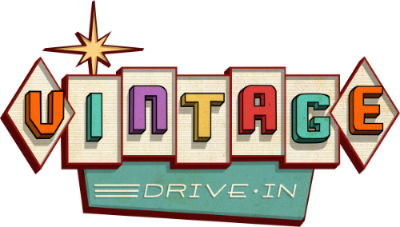 Speaking of brake fluid, how do the brakes on your car feel in general? Are they lacking in bite? Feeling a bit spongy? If so, new pads and a system bleed might be required. This is the kind of maintenance should be done by our factory trained techs. Those long, balmy evenings when the sun is a huge, orange orb hanging low in a pinky-blue sky sound blissful. But they can also be a hazard, especially when your car’s windshield is dirty. Even from the inside, that haze will diffuse the light and make things hard to see. That grime has a tendency to build up over a long period, so we don’t really notice it. Things look much sharper after your car has had a good wash, though. Keeping the exterior clean also protects the paintwork from the sun’s rays, as well as any damage caused by birds and insects. Finish off the cleaning with a good-quality wax. 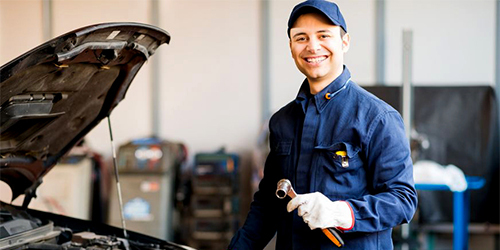 Car care makes financial sense in the long run. Check with our service advisors for pricing and scheduling.